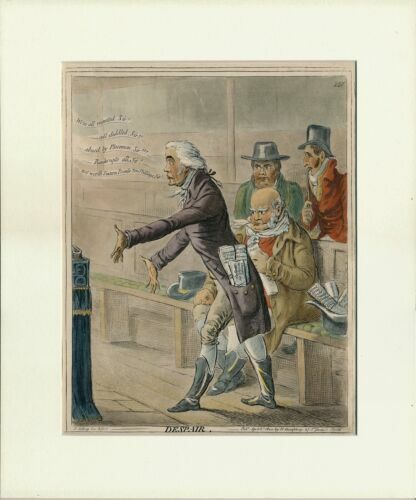 JAMES GILLRAY " THE JERSEY SMUGGLER DETECTED ." 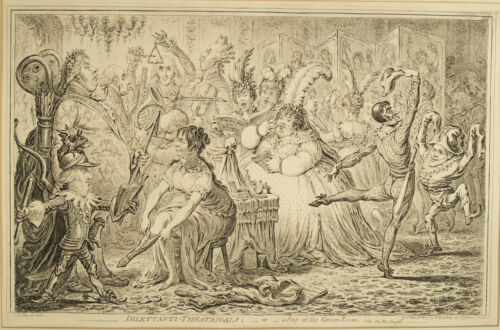 JAMES GILLRAY " ANACREONTICKS IN FULL SONG." 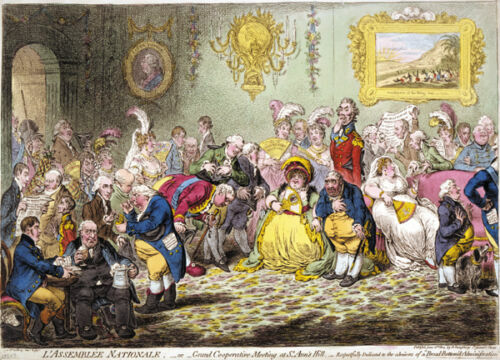 JAMES GILLRAY " PITY THE SORROWS OF A POOR OLD MAN." JAMES GILLRAY " DUKE WILLIAM'S GHOST "
JAMES GILLRAY " THE NEW SPEAKER." 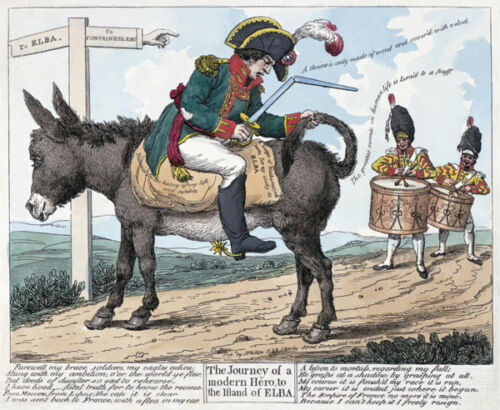 JAMES GILLRAY " BUONAPARTE LEAVING EGYPT." 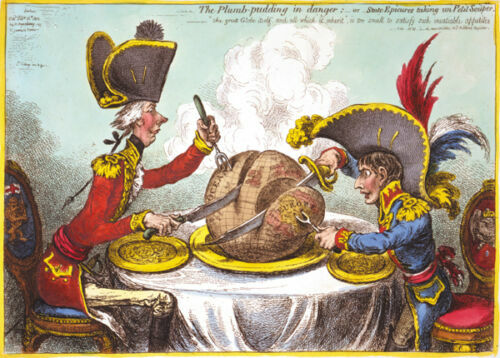 JAMES GILLRAY " DELICIOUS WEATHER "
JAMES GILLRAY " PATRIOTIC PETITIONS ON THE CONVENTION." JAMES GILLRAY " PALEMON AND LAVINIA ." James Gillray Hand Colored Etching "Posting In Ireland" "Posting In Scotland"
JAMES GILLRAY " BLOWING UP THE PIC NIC'S ." JAMES GILLRAY " CHARMING WELL AGAIN "
JAMES GILLRAY " AN OLD ENGLISH-GENTLEMAN ." JAMES GILLRAY " TIDDY DOLL, THE GREAT FRENCH GINGER-BREAD MAKER." James Gillray Hand Colored Etching "Posting In Scotland"
JAMES GILLRAY " ALECTO AND HER TRAIN "
James Gillray hand colored etching "Dido, in Despair!" 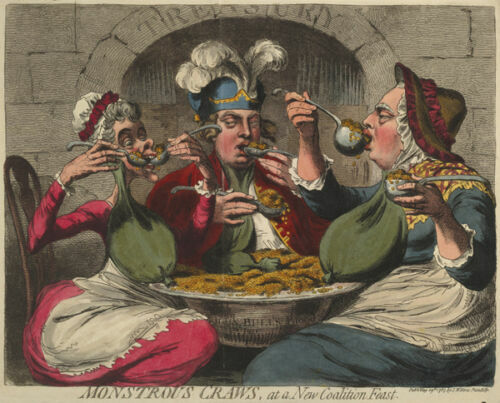 JAMES GILLRAY ORIGINAL COLORED ENGRAVING CA. 1795-1820 "A DECENT STORY"
JAMES GILLRAY ORIGINAL COLORED ENGRAVING CA. 1795-1820 "PUSH-PIN"
James Gillray hand colored etching "Advantages of wearing Muslin Dresses!" Original 1800 James Gillray Humorous Framed Fox Hunt Print "Hounds Throwing-off"
Original 1800 James Gillray Humorous Framed Fox Hunt Print "Hounds Finding"
Original 1800 James Gillray Humorous Framed Fox Hunt Print "Coming in at Death"
James Gillray William Lort Mansel 'Bristol-cheese"